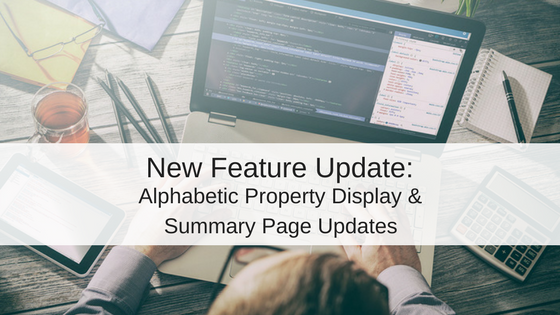 Update 7/6/2017: We’ve further updated the sorting technique to handle more unique cases where both numeric and alphabetic data exists within a property or sub-unit name. The same sorting is also now applied to property drop-down selectors system-wide. A new update to your Rentec Direct software provides a new automatic sort order option so you can easily scan your properties and find exactly the property you are looking for quickly. You will also notice immediate changes to the Summary Page that can be customized for your management needs. Previously, the property sorting was done based upon the numeric value within a property nickname. The new automatic method considers both the numerical and alphabetic properties to handle more unique cases. For example, Unit A1, A2, B1, B2 will be handled automatically without any need to manually sort your list. Under Property List Sort Order, select “Automatic”. Properties will then be displayed alphabetically, with numbered properties first. You can always switch back to the manual method by choosing ‘Manual’ from this program defaults at any time. Your old sort order will always be saved. 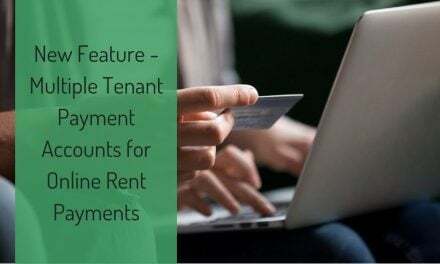 This will affect the main properties list, the recurring transactions list and all reports that provide a list of properties and related information. In addition, the sort order affects the Summary page, where we have made further enhancements. 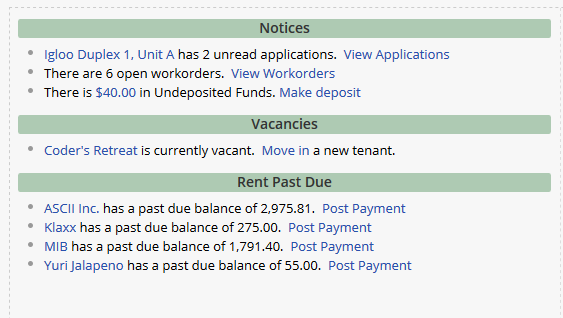 The Notifications section now has more clearly labeled sections, such as “Rent Due Soon” and “Leases Expired”, so you can easily scan down to the items of interest. What if you don’t want to see every one of the notification sections? 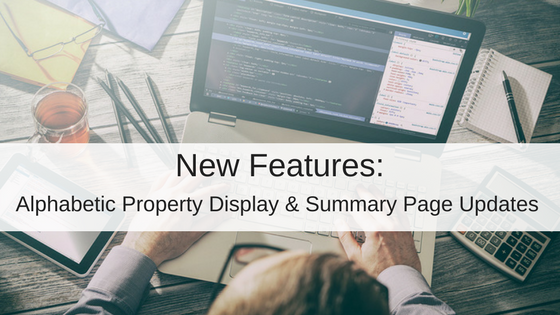 You will see the options to show or hide the sections of your summary page to suit your needs. Additionally, you can filter the Summary display down to one specific property via the selector in the lower right corner of the page. We hope that this enhancement will make your work day easier and more productive. We enjoy hearing your feedback, so please feel free to use the comments section below to let us know how you are enjoying the Rentec Direct system and how we can make it better suit your needs.